Although cold winter months are pleasant for most of us, it is really a disaster for still many! Winters have been seen to typically come up paired with intense winds and snow falls. And in winters, if you want to get the best comfort from the chilling weather then you should definitely go for the best room air heater or heating device. However as there are many types of heating systems and portable indoor air heaters available on the market it becomes quite difficult to choose one, especially when you have an asthmatic patient in your home. 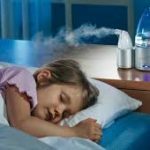 Here in this article we will discuss in detail about asthma problems in winters, tips/reviews on choosing the best heater for asthma and few additional tips on how to avoid frequent asthma attacks during cold winter months. Can Your Heater Make Asthma Worse? Asthma, as we all know, is a common chronic inflammatory condition that leads to swelling of the airways and shortness of breath. One of the major causes that triggers asthma attacks in patients is external factors such as cold condition during winters. Not only adults but children can also get infected by cold air induced asthma problems during this season. And as soon as you see seasonal asthma symptoms during winters, it is good to visit your doctor for the best recommendations, remedies and medications. Although there is no permanent cure for the problem there are medicines and devices like inhalers and nebulizers to control it. Your doctor may recommend the right treatment along with some of the best things which can be done specially during the winter season. This is an important question that needs to be answered! A recent research has thrown up light on the fact that your favourite home heater (often used to maintain appropriate room temperature in winters) could directly increase your winter asthma symptoms, if not chosen wisely. The research also showed up that most of the people do not realize that their wrong choice of room heater or heating system could affect their health negatively and can increase the chances of getting their asthma symptoms worse. Sad to reveal that only 7% household considered their health first, before they consider buying an appliance such as room heater for their home. Many among them were also worried about the cost factor and attractiveness involved, while they were buying a heater for asthmatics. Well, if you give priority to your health and asthma symptoms (rather than price and models) you can actually avoid making your asthma conditions worse in winter season. Room heaters are lifesaving equipment especially if you are in a country that is cold for most of the time. Various different kinds of room heaters are now available on the market that can help you to stay warm always at minimal costs. But an important criterion here is for you to choose a heater that shall not aggravate your cold air asthma cough. Experts suggest that an asthma can easily trigger in too hot or too cold temperatures. Therefore the best room heater for asthmatics is a one which actually maintains the room temperature which is neither too cold not too hot. For helping you make wise decision we have listed down some of the best room heater models for asthma patients in winters below. You can check more details about these along with real consumer reviews before making a purchase online. Which Is Better for Asthmatics? When talking specifically about asthma users, it is most of the times advised to use unflued gas heaters or infrared heaters (rather than electric heaters) to reduce the chances of getting asthma triggered in winters. To justify this, you need to know about what’s the basic difference between these three heaters and how they operate. 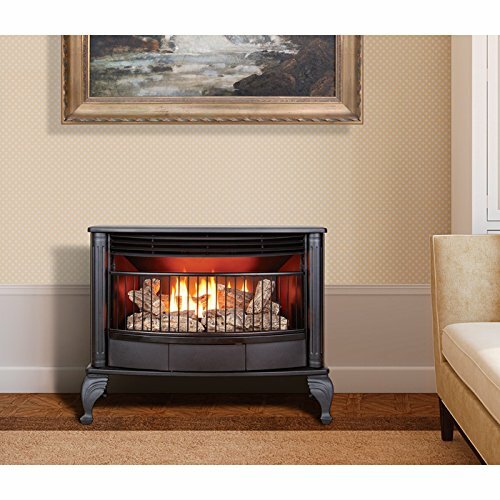 Gas Fireplace: These are the modern form of wood burning fireplaces or stoves which makes use of gas fuel (like natural gas) instead of wood log combustion. Asthma foundation NSW recommends that users with asthma trouble need to ensure that gas heaters installed in their home have an appropriate flue or gas vent attached to these heaters. These gas vents shall help in removing or absorbing any kind of harmful elements of gas and ensure that the air around them is safe. The second precautionary step towards ensuring a better health is to remove or replace existing gas fitter with a new one, once in every two years. 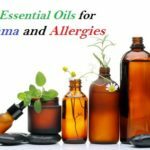 This will ensure that people in your house (suffering from asthma and allergies) stay healthy and there are no unforeseen accidents in your home caused. Although unflued gas heaters are many times recommended for asthma patients, infrared electric heater/fireplace are today getting much popular due to the additional benefits it provides. Electric Heater: These are the indoor room heaters which uses electricity as the source of power to warm up the room. Although these make the room warm in a safer and faster way, these also make the air in the room less humid and dry. This can also cause dry skin and static electricity problems. Increased dryness in the air is the main factor which makes these types of heater unfavorable for asthmatics. 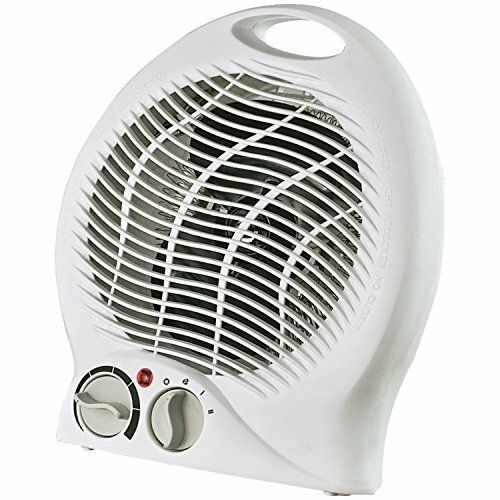 Also there is increased risk of using these heaters, when you have small kids or pets in your home. Infrared Heaters: These are also the electric heaters which use electricity to warm up the room, with the significant difference in the technology and manner it works. These Far infrared heaters usually emits the heat as Far infrared radiation (FIR) which is much like the healthy heat we receive from the sun (like while getting sun bath at beach). And as the heat energy emitted does not include UVA/UVB rays it is not harmful for your skin. These types of heaters are most favorable for cold air asthma cough as; unlike traditional electric heaters, these does not reduce the humidity & oxygen levels in the room and are much more cost effective. 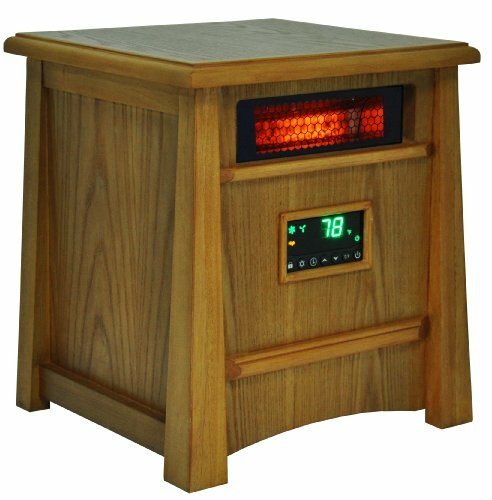 Infrared heater with humidifier and purifier are now available online which can solve all your issues. These are best recommended for asthma and allergy patients as it not only help make the room air warm but also more humid and pure. Thus helping to control your asthma conditions in a best possible way. One of the best benefit of using an infrared heater is it emits the light beams instantly when switched ON. This means you do not have the wait for long to feel the heat. This is a major drawback while using electric heater as it takes too long to heat complete room and feel the warmth. 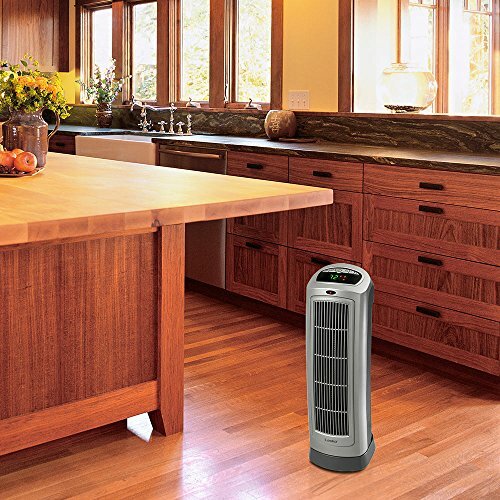 Choosing the right heater for your room may seem to be a simple task. However it is not as simple as it seems. This is due to the reason that everyone have different requirements and health conditions and therefore need a different type of heater for them. 1- The Type and Model: If you feel that you do not have the right skill of recognizing the right model you should read know more about the various models and options available. Some of the basic types include Radiant heaters, Convection heaters and Oil filled radiator heater. You may choose the one that suits your requirement and budget. Also check whether the heater you choose is automatic or not. 2- The Room Size: As different types of room heaters comes in varied sizes for to suit different room sizes, it is important that you check your room size carefully before buying. Heater which is large enough and meant for to cover larger room areas should be avoided if you have small room, as it can prove to be costly option in long run. 3- The Power Consumption: While buying a new room heater it is equally important that you check about how much power and wattage it consume while operating. As a best option you can go for an infrared heater instead of electric heater which is much cost effective. Unlike electric heaters it does not warm the entire room and focuses mainly on a person near to it, thus saving lot of energy. These asthma friendly heaters are best suited for you if you are alone in the home or an office and want to enjoy the warmth at reasonable prices. 4- Style and Designs: Gone are the days when room heaters look awkward and not stylishly designed. Today with variety of models you can get range of different styles and designs with latest technology that can make your room even more attractive and high tech. From wall mount and media console options to freestanding and patio heater types, you can choose the best one as per your requirement. 5- The Safety: This is one major concern which should not be ignored, especially when you have kids, pets or too many guests at home. Choosing the right one for the safety of asthmatics is also important so that they do not get their asthma conditions worse. Do not forget to look at the features like auto shut off, heat guards, anti-tipping devices, etc. which will help in effectively managing the risk factor. 6- Resale Value and Warranty: While warranty is a major factor to look at, some of the people may ignore looking at the resale value which they may get in future. It’s best to choose the right brand and high quality which makes you’re buying a good investment so that you enjoy the benefits for long. Whichever model (electric heater or gas fireplace) you choose from above, you need to make sure that you have cross ventilated the rooms in your home and you do not use these air heaters in bathrooms, caravans or bedrooms. Winter can be fun but it could also cause harmful effect on your health if you do not take necessary precaution. Hence, it is important for you to check the following additional tips and preventive measures to ensure that you do not fall prey to asthma attacks during winter. Keep your hands clean always: Now this could sound a little childish. But one among the most important reasons for falling prey to cold and other virus attacks in winter is due to non clean hands. Make sure you wash your hands always so that you are less prone to virus attacks. Get a flu injection: Now this is an important precautionary step that you can take towards virus attack during winter. Get your annual flu shot that shall help in reducing the effects of infectious flu on your body. For additional layer of protection you could also get pneumonia vaccine to better help you protect against asthma attack. Do not sit by fireplace: Now this might be a tough task. While it is important for you to keep yourself warm, make sure you do not sit very close to fireplace. The burning effect of wood has the same effect as that of burning tobacco and this could have adverse effect on your health condition. Breathe through your nose always: This means keep your mouth closed always. This is something that your mother would have taught while you were a kid. Keep your mouth closed and ensure that you breathe through only your nose. This is the best way to ensure that your lung is healthy and keep your body also warm than making you feel cold. Replace fillers in your home: Now if you have air purifier or humidifier in your home, then ensure that you replace the fillers in it before the start of winter season. The fillers will have all the pollutants that have been filling in for the past few months. Now if you do not replace this, this could become an important reason to trigger asthma. Let home be your gym: Do not go out in cold for your workout. Working out is fun but till the winter leaves its door it is better that you work out indoors. Make a proper space in your home and arrange for working out only in your home. If you do not like this idea, then make sure you travel to gym only when the temperature has changed. Have an action plan: Now this is the most important tip to fight asthma during winter. Take care of all the precaution for asthma patient in winter and have an action plan ready on what need to be done if you fall sick with asthma attacks. This way you will be prepared and also have an idea on control measures to be taken care.